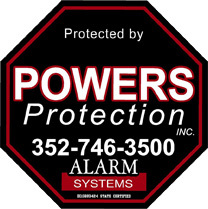 Citrus County Security Alarm Company, Central Florida Burglar Alarm Monitoring, Fire Alarm Installation, Surveillance Security Cameras, Home Theater Surround Sound Systems - Powers Protection Alarm Systems Inc.
Are you looking for a trusted and affordable security alarm company? Powers Protection, Inc. is owned and operated by Jon and Ruth Powers. The company was established in Citrus Springs, Florida in 2006. We are a company that strives to provide affordable quality installation and servicing to residential or commercial properties. We provide burglar alarms, fire alarms, CCTV (surveillance cameras), home theater system, structured wiring (phone, cable, and computer), central vacs, intercoms, and whole house distributed audio. We offer UL listed burglar and fire alarm monitoring. Powers Protection is state certified. Our technicians are trained and certified by the Alarm Association of Florida. Each employee undergoes a thorough background check. Jon’s main priority when starting Powers Protection was making security possible for anyone. Many years ago, having protection for your home was a luxury, but, today having security is necessary. All security features are specifically designed for each customer’s need. We work with each customer on an individual basis to provide quality security systems at a cost they can afford. Therefore, we do not require a long-term contract. You deserve the very best and we provide just that. We expect the highest standards when installing equipment in your home/business. We offer warranties and our staff is well trained and prepared to help you with your security needs. 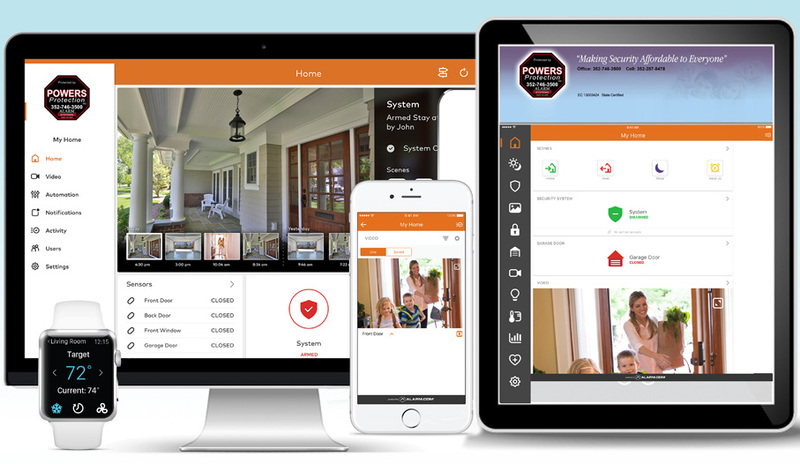 Whether you need fire alarm monitoring or security alarm monitoring for your business, or you want security services for your home, Powers Protection can help you feel more secured. Call us today or feel free to stop by for a free estimate. Our staff will work with you to make sure you have the security system you’ve always wanted.